Jack Lengyel, who is probably best known as the coach portrayed in the film “We Are Marshall” that depicts the rebuilding of the Marshall University football program after a 1970 airplane crash, will receive an honorary doctorate from the United States Sports Academy. Lengyel, a former trustee for the Academy, followed his four years as head coach at Marshall with an extensive career in athletic administration, most notably his 13-year career as the Athletic Director for the United States Naval Academy (USNA), where he oversaw 30 varsity sports programs and was responsible for the new construction and renovations of several sport facilities. During his tenure at Navy, Lengyel received a Lifetime Service Award from the Annapolis Touchdown Club (2001), was appointed to the USNA Foundation Board of Trustee’s (2001), and the Naval Academy’s strength and conditioning facility was named in his honor. Lengyel has stayed active in the nine years since his retirement, serving at different times as the interim athletic director at the University of Colorado, Eastern Kentucky, and Temple. He has also conducted strategic reviews for the athletic departments at Texas State-San Marcos, Northern Arizona, and Towson State. Lengyel also worked as a college football color analyst for ESPN. He is now the Vice President of Business Development for XOS Digital, Inc., a provider of digital technology and media management solutions to collegiate and professional sports organizations. In 2008, Lengyel accompanied Admiral Mike Mullen, Chairman of the Joint Chiefs of Staff, on a USO Tour of Iraq and Afghanistan. He is currently assisting the Pentagon with the “Sea of Goodwill” project to help returning veterans of the wars in Afghanistan and Iraq secure employment, education, and health care benefits. But his most publicized legacy will be what occurred in Huntington, W.V. in the early 1970s. On Nov. 14, 1970, 75 people boarded the Southern Airways DC-9 in Greenville, N.C., to return to Huntington after a game against East Carolina. It was a rainy, windy night, and none of the crew members had ever landed at Tri-State Airport, which is located on a tabletop plateau close to the Kentucky-West Virginia-Ohio border. At 7:42 p.m., as it was about to land, the plane clipped the tops of the trees west of Runway 11 and crashed into an Appalachian hillside with a full load of fuel. Thirty-seven Marshall football players, 25 supporters, eight coaches, and five crew members were killed. After the crash, there was a movement to drop the Marshall football program, which was left with four varsity players who did not make the trip to East Carolina; three assistant coaches and graduate assistant who traveled home by automobile; and the freshman football team from the previous season. The community was hurting not only by the loss of its football players, but several university and public officials, prominent business leaders, four doctors and their wives. Instead of dropping the program, Lengyel, who had been head coach of football and lacrosse at The College of Wooster (Ohio) for the previous five years, was hired as head coach for Marshall. At that time, freshmen were ineligible to compete in varsity sports, but the NCAA gave Marshall special permission to utilize them as players so Lengyel’s staff could rebuild the program through recruiting. With a team of mostly freshmen, the young Thundering Herd won its home opener against Xavier that season, and Lengyel remained at Marshall for four years, where he rebuilt the football program and the team’s four-year structure. In 1996, when Marshall won the NCAA Division 1-AA National Championship, head coach Bob Pruitt gave Lengyel a championship ring for resurrecting the program. After three years in the private sector, Lengyel became the Associate Athletic Director at Louisville (1980) and then the University of Missouri (1981-84). Following his stint at Missouri, he was named Director of Athletics at Fresno State, where the men’s basketball team won the NIT Championship in 1984. The football team finished an undefeated 1985 season with a 51-7 victory over Bowling Green in the California Bowl. After that, Lengyel returned to the University of Missouri as a Director of Athletics, where he stayed three years before being hired by the Naval Academy. For the United States Sports Academy, Lengyel served on the Board of Trustees from 1992-’93 and was on the Board of Visitors from 1988-’91 and from 2003 to the present. He is also chairman of the College Football Game of the Year Committee, which selects an NCAA Division One football game every year to be recognized. The winner of said game is honored with a painting from sports artist Daniel Moore and a $5,000 donation to the general scholarship fund. Lengyel has been active in the National Association of Collegiate Directors of Athletics (NACDA) for two decades, having served as president from 1989 to ’90, and was also a member of the executive committee. He is a member of the past presidents’ committee. He currently serves on the Board of Directors for the National Football Foundation and College Football Hall of Fame (NFF); chairs the NFF’s Divisional Honors Court; and served on the NFF’s football honors review, awards, and executive committees. Lengyel served on the NCAA Post-Graduate Scholarship Committee and Postseason Football Committee. He has chaired the Director of Athletics Committees for the Big Eight Conference and the Pacific Coast Athletic Conference. From 1994-2000, he chaired the International Rowing Association Board of Stewards. 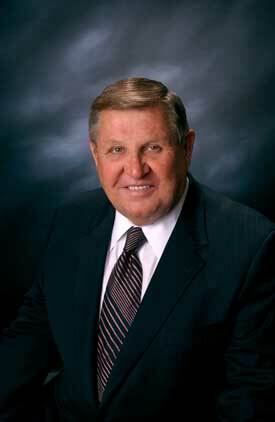 In 2009, Lengyel received an honorary degree of Doctor of Humane Letters from Argosy University in Phoenix, Ariz. He has also received NACDA’s James J. Corbett Award for a distinguished career and outstanding contribution to college athletics. Other honors include, but are not limited to, the NFF John L. Toner Award for an Athletic Director who has made significant contribution to football; The Homer Rice Award for a distinguished career as an athletic director; Distinguished Service Awards from Marshall University and the United States Sports Academy; the GMAC Bowl Champions of Life Award; The Annapolis Touchdown Club Lifetime Service Award; the NIT/NACDA Athletic Administration Award; the Akron University Distinguished Alumni Award; NFF Honoree for Outstanding Contribution to Amateur Football; the Akron University Sports Hall of Fame Achievement Award; the Akron/Summit County Sports Hall of Fame; the American Football and Basketball Coaches Conference Sports Leadership Award; The Campbellsville (Ky.) University Leadership Award; and was a Distinguished Military Student and received the Distinguished Military Graduate award from Akron University.